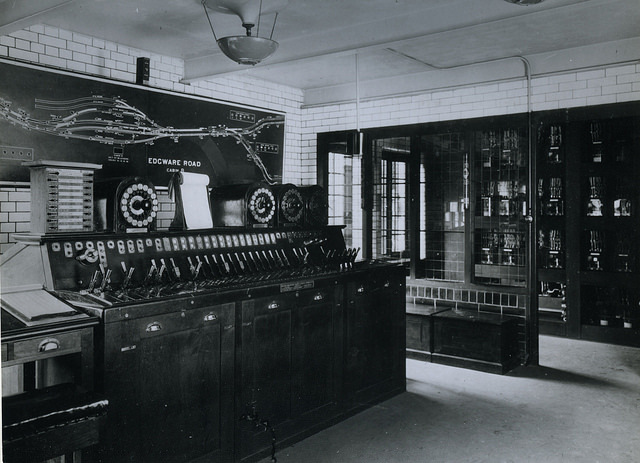 The London Underground signalling cabin at Edgware Road station has been designated as an item of national historic interest by the Railway Heritage Designation Advisory Board. Built in 1926 and operated by the Metropolitan Railway – the world’s first underground railway and the predecessor to London Underground – the cabin’s technology is still in use. Its mechanical “K-style” lever frame operates the interlocking of signals and points at the complex junction used by the Circle and Hammersmith & City lines. 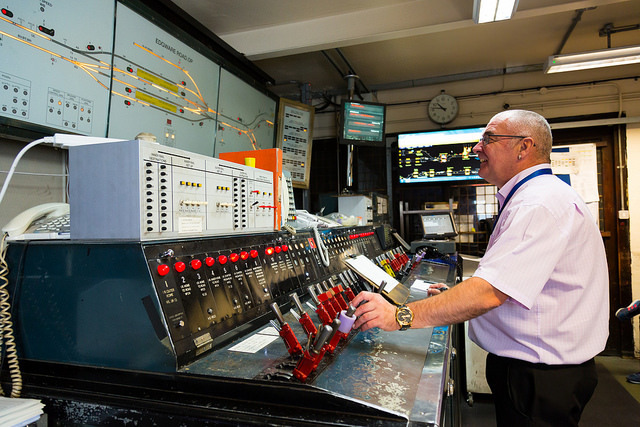 A signalling operator controls this intricate system, with its many brass levers and interlockings, so that trains can arrive and depart on time. 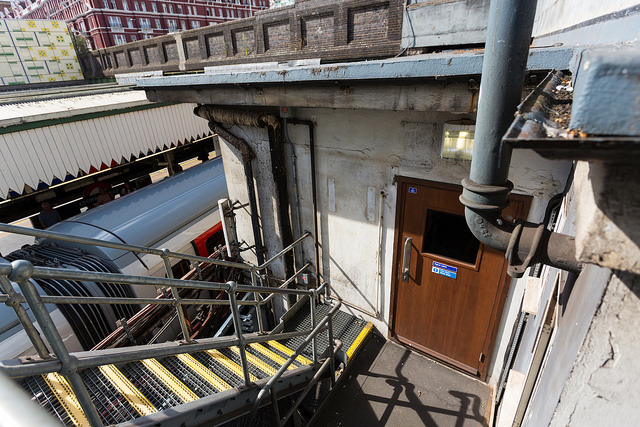 This heritage designation means the cabin will be protected when it is honourably retired as part of London Underground’s modernisation programme. Mike Ashworth, London Underground’s Design and Heritage Manager, said: “This unique signalling cabin harks back to the earliest days of London’s transport network… It is a testament to its pioneering design and robustness that it is still in use today.” The plan is to give the public access to the cabin in the future. “Ensuring we understand and preserve the heritage of the world’s first underground railway – with all its surprising historic quirks – is key. Our new signalling builds upon our tradition of using technology to better operate the Underground system for the benefit of our customers”. 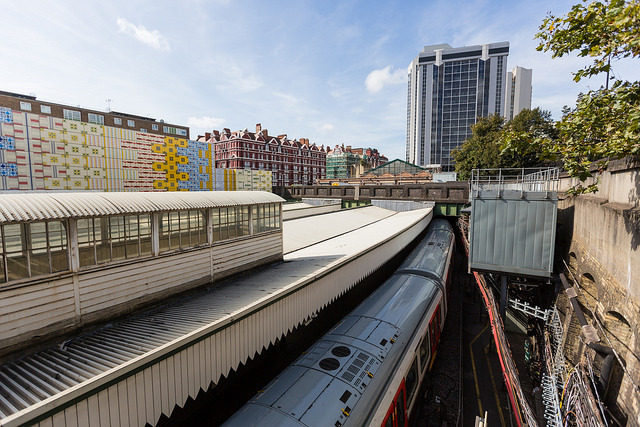 Installation of new signalling equipment has already begun on track between Edgware Road and Hammersmith – the first of a complete overhaul of the signalling and control systems across the Circle, District, Hammersmith & City and Metropolitan lines. Images courtesy of Transport for London. You can see more images of the cabin in this Flickr album.